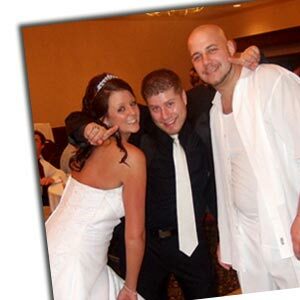 Our team of talented Michigan DJs are here to help you dance your way to ‘I Do’. 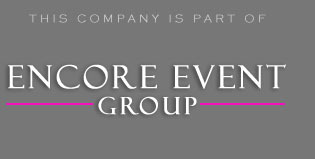 Our Michigan wedding DJs are part of Encore Event Group. This means that besides offering you the best options, you can also bundle packages to save both time & money. We have hundreds of packages for you to choose from. It really depends on what level of service you are looking for. One of the many options we love to provide is photo booth rentals. These are fun and guests love taking their image home with them. You can expect the same options the other guys offer and then some! In addition to great packages, we also offer a customizeable color changing photo booth. The outer exterior of the booth lights up and can match the color of your upcoming event. What clients really enjoy about Encore is the option to include lighting design with any package. We go above and beyond the realm of uplighting. If there is a specific look you want to recreate, chances are we have already done it. To help with specialized effects, we have unique equipment. You lighting will be controlled dynamically, meaning it can change colors with the music throughout the night. Just imagine how many compliments your guests will give you! The majority of our business involves wedding DJs, and we are responsible for the success of hundreds of weddings in Michigan every year. However, parties with clients planning events beyond weddings. If you need help with planning a high school prom or even a corporate party bash, you have come to the right place. Our company has the skills and references to back up our claims and can work with any reasonable budget. We want to make this decision as stress free and simple as possible for you. So we would like to invite you to come and demo our services from our comfortable studio. Everything is setup so you can get a feel for our options before making a decision. This way you can pick and choose and create a custom package based on our meeting. Our goal is to neither over or under quote you. What I always like to say is, “if we get high-fives, hugs, and handshakes after your event… then we did our job”. That is our guarantee to you! To learn how much personality we will put into your big day then check your date on the right or call 877.643.8368. Encore Weddings DJs is excited to be part of the success.